The true crime TV contagion spreads to the Discovery Channel on Thursday (10 p.m.) with the launch of Barry Levinson's six-part "real time" series, "Killing Fields," and because Discovery has already cracked the true crime code on Investigation Discovery, it's a fair assumption the code has been cracked here too. Foremost, there's the lead, or "star," the crusty detective who just can't get the cold case that got away out of his head. You first see Rodie Sanchez, the retired Iberville, Louisiana, Parish Sheriff's Office detective, in a folding chair in what appears to be the front yard of his modest house. The drink in his glass clinks. The night's hot, oppressive. He's wearing an undershirt. You can see the sweat glisten on his forearms. "I still can't get that some-[expletive] outta mah mind," he drawls, referring to the person who murdered a young woman, Eugenie Boisfontaine, in the late '90s, then dumped her body on the side of the road. Levinson knows a star when he finds one. Rodie's a star. Levinson also knows a good formula when he sees one too. "Killing Fields" -- referring to horrific patches of ground, like that stretch on Gilgo Beach where human remains have been found — is a rough real-life approximation of the first season of "True Detective." Rodie is Rustin "Rust" Cohle (Matthew McConaughey) while his young partner, Aubrey St. Angelo, is Martin "Marty" Hart (Woody Harrelson). You see 'em on long drives around the parish, the deep green of that lush countryside that hides so many secrets flashes by. Obsessions are what make shows like this work; obsessions are what keep viewers obsessed too. Couple of things to note: "Killing Fields" will do well for TDC. Viewers won't be able to help themselves. But it also arrives on a wave that is breaking over all of us right now — a strange wave, a disturbing one. It's forced us to watch — yes, obsessively — series like "Making a Murderer" on Netflix. We don't know WHY exactly ... Or I don't know why exactly. 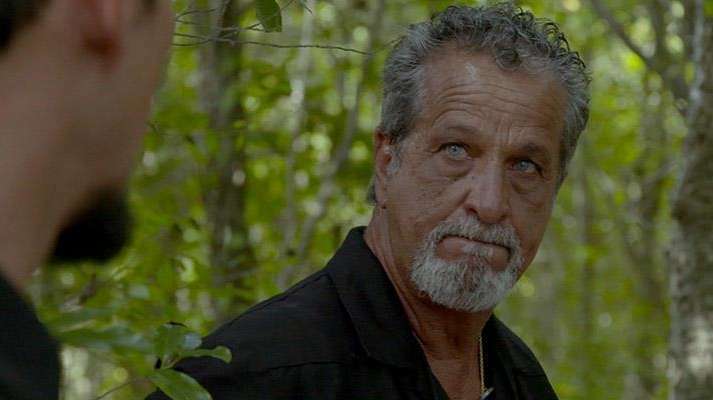 "Killing Fields" has that in abundance, and has another twist too — it's shot in "real time," meaning that as those cameras roll, no one, least of all Rodie, knows exactly how this case will end up, or if it will end up anywhere — as cold as it was before it all began. That sense of incompleteness, or that sense that justice might never be served is just one more irresistible element that drives this. Like Aubrey, we're along for the ride, but we do want a destination. Now, the big cosmic questions: Are these true crime series ethically sound? Are they good for viewers — in the sense that they perform a service that helps in some fundamental way, or do they simply stoke paranoia and fear and voyeuristic impulses? Do they exploit the victims? Do they lead to resolution for victims? (Undeniably in some instances they do; in others, they do not). Will Rodie Sanchez find that "some-[expletive]"? These are all valid questions. Sorry, I have no answers. But I do know this: Many viewers, maybe millions of viewers, will watch Rodie and fervently hope that he does find his man. They won't be able to help themselves.